To commemorate the fact that I have my first ever trophy on Football Manager 2014 after 7 months of playing Football Manager 2014, 8 or 9 seasons playing the game and trying to learn the rules of football, and after 200 or more hours of playing the game, I decided it was time to make a post about Football Manager. And, I haven't written on the blog in some time, so that seemed like a good idea. Anyway, I suppose the question to answer is "why do I play Football Manager"? I'm an American, Americans don't appreciate soccer, and why, of all the games I could play, did I pick up Football Manager? Honestly, I got it on a punt. I had no idea what the rules of association football were, and I knew nothing about the sport, aside from the fact that there were two famous English teams I'd heard of over the years called Manchester United and Chelsea. But, I decided for the hell of it to give it a try after watching someone play it on YouTube. The game is unlike any other game. It's not like Madden, the FIFA series, or any other typical sports game where you take the players and you directly play as them to influence the game. This game is played from the perspective of the manager. You handle the recruiting, training, transfers, scouting, and more of various players, handle press conferences, and you set up the formations, go to your match, and you watch the players play the game autonomously. How successful the team is depends on how good of a manager you are, and how well you can prepare and develop your team. I know, this game sounds like it could be dull, and to most people it probably is. Honestly, 98% of the game interface is glorified spreadsheets like this, with a 2D or 3D game interface for the matches themselves, based on your own preferences (I personally use a 2D top-down view for normal gameplay, and I like to use a 3D view for goal replays. It's a game for a niche market who prefer management simulations and the micromanagement that comes with it. The part I really love about the game, however, is the story the game tells by not having a story to tell. It's odd to hear, I reckon, but stay with me. I started my Football Manager 2014 save as 25 year old American Damon McKnight, born on 20 September 1987 (You have to be at least 25 as a manager on the game, and I'm younger than that, and I can't use 1992). I started my football managing career at the start of the 2013-14 preseason for Sky Bet League 2 team Oxford United, and it's my first management position. Through the trials and tribulations of being a manager, and through watching my players age and develop, and through watching my team reach success or fail, I am creating the life stories of my own person and of each of these individual players. 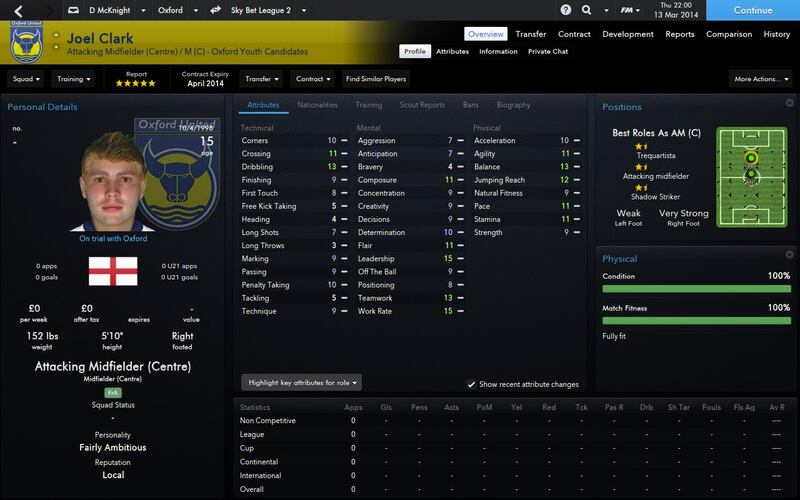 It's my first year on the job, and after some hiccups, I've won a trophy that the real life OUFC has never succeeded at getting, I've been challenging for first the entire year, and when the 2014-15 season rolls around, odds are that I'll be in League 1 with Oxford United while holding a fresh contract extension to stay with the team. Or, I could decide to move on and start fresh at a new team and experience all the excitement, anxiety, anger, and ecstasy that watching these successes and failures bring me as a manager. Unlike other games, which have a defined story at the end of the day, it's this game's complete lack of that makes it so appealing to me, because I control my own fate. I could remain with a lower league team in England forever, or as I lead my team to victories, promotions, and trophies, I could find better teams to take over and move to higher English leagues or move to one of the leagues for the dozens of countries I have loaded into the game right now and someday become a world-class manager of Jose Mourinho or Sir Alex Ferguson's fame. The choice is all mine as a story teller and role-player, and even though I'm not the biggest sports fan in the world, I relish the possibilities that await me. I'm going to wrap up this post with something I read a few weeks ago that got me thinking about how I play the game. I'm not THIS far invested into the game as far as story telling goes, but this demonstrates the commitment and general insanity that comes with being a Football Manager addict and letting it steal your life away... Like it's slowly been doing to me. According to the enigmatic Daveh, the UESP is turning twenty years old! How exactly we're going to mark this occasion is still pending, but it's amazing how far it has come. The site itself just went through a few upgrades, and tweaks are stilling being made to some features. If you're like me, when using the search function, you'll need to type in a namespace first if you want to get any auto-fill suggestions to pop up. For more info, see here, if you can decipher it all. Just in case anyone missed it in all the Fallout 4 craziness, The Hero's Guides to the Elder Scrolls Online were marked down 25%, with free shipping in the continental US. Mine's on the way! Also, reddit user dominoid73 crunched the numbers and says Steam reviews of ESO have been 93% positive since 31 March 2015. The UESP is constantly getting updated, and activity is likely to be high for a while. Just last month, Jeancey made about 250 edits in one day, clearing a backlog of two months of unpatrolled edits. So it's all the more important to remember that if you're viewing the UESP anonymously, you might not be seeing the most current version of the page. Logging in will ensure this isn't a problem. If you don't want to do that, you can click the "Edit" button at the top of the page, then click the "Show Preview" button. And while you're checking out of the site, keep an eye out for anything you think should be a Featured Image or Featured Article. 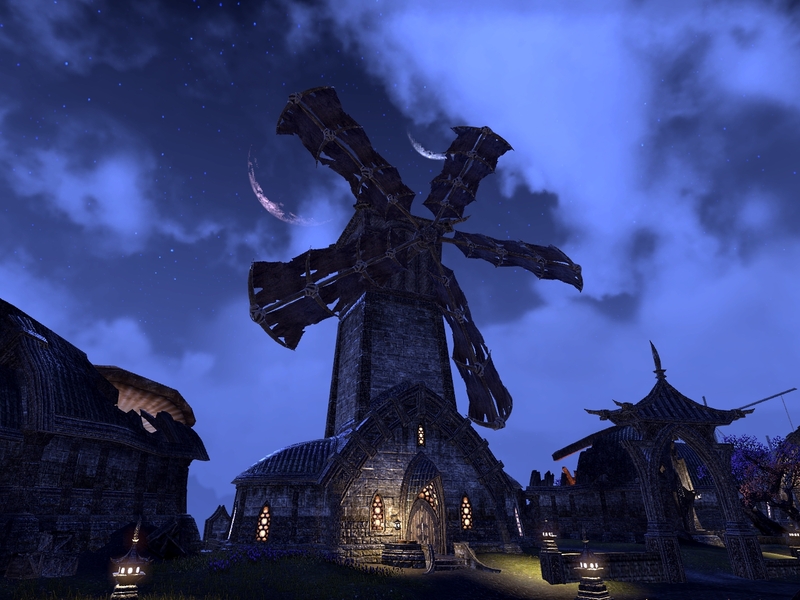 I'm going to nominate Shuryard's pic of this windmill, because moons. And, while this isn't eligible to be an FI, you shouldn't miss it. If you're a console player looking for a guild, we'll get a guild up and running for Xbox One. For the NA server, at the very least. 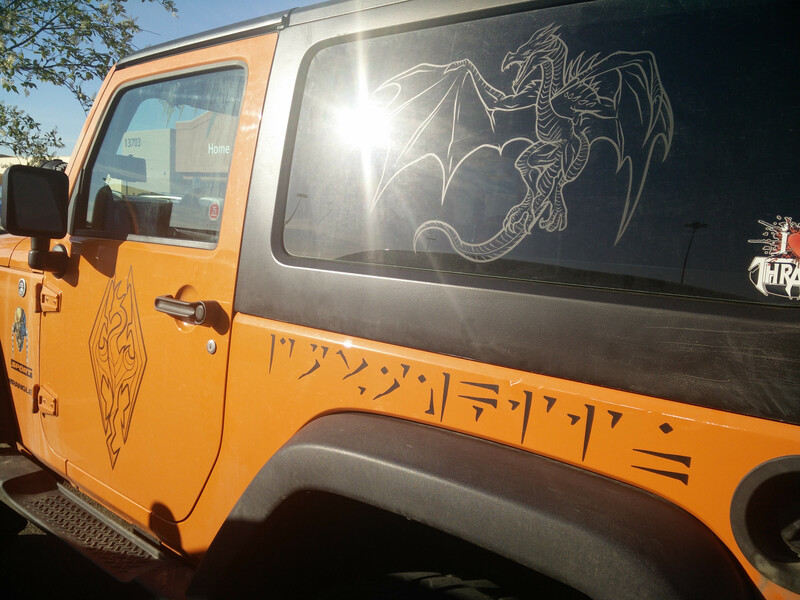 The ESO Guild article will be updated accordingly. I haven't heard about any plans for the PS4. If you're interested, head to our UESP guild forum, or the guild article's talk page.. I'm not sure what role the guild(s) will ultimately fill, but for the time being, the guild's scope will be the same as the site's scope: everything. Whether you need help with your game in any way, you're looking to help out others, or maybe you just want to talk and trade, the UESP is here to oblige as best we can. And, hopefully, the guild can also help editors who play on the console get some assistance with wiki projects as needed. While I'm on the topic of helping, Tamriel Foundry has a great article for new players. Thirteen years after Morrowind's release, many fans are still enthralled by the 36 Lessons of Vivec. Almost 8 months ago, someone began tweeting the 36 Lessons, 140 characters a day. They're on Sermon 10 now. Loremaster RottenDeadite, a longtime devotee of metaphysical TES lore, is providing an annotated guide of his understanding of the Lessons. But of all the tributes to the Lessons I've seen, my favorite must be the 36 Rages of Vivec (slightly NSFW). Here it is, we've been waiting with anticipation for ages about whether or not Fallout or The Elder Scrolls would be announced at Bethesda's E3 convention, and minutes ago Bethesda updated their cover image on Facebook with an updated "Please Stand By" graphic that was used in older Fallout titles, and the Fallout Bethesda page on the website has the same old TV "Please Stand By" image with a counter that will expire in approximately 23 hours, as of the time of this writing. I am so excited for this release that I can't squeeze out words for it, and in under a day we will know what's new in the world of Bethesda's Fallout IP. I am not one for speculating on locations, quests, factions, etc, but without any knowledge about Fallout, I'd like Miami to be on my wishlist. It seems like it would be awesome to see a bunch of abandoned, destroyed resorts, the ocean, the Everglades, mutant anacondas, etc. But, that's my own wish. In less than a day we will know more, and I'll definitely be making a big, excited blog post cramming my thoughts about everything Fallout 4 related in the next day or two. Continuing my trend of blogging about game announcements that interest me, I'm going to showcase that the official DOOM Facebook page has posted this new banner image stating that there will be a worldwide gameplay reveal for a new Doom title on June 14th at Bethesda's E3 conference. At last, we've received some kind of news about what things are going on at Bethesda Softworks with regards to them, the Zenimax subsidiaries, and the IPs owned by the company and its subsidiaries that BethSoft will act as publisher for. Honestly, this game as a hit in the dark to me, personally. I missed the prior teasers for Doom that were released over the last year or so, and since Doom hasn't had an update to the series since Doom 3 in 2004, I never gave much thought to the possibility of there being a new entry to the series, a rebbot simply titled "DOOM". Anyway, there will be a new Doom entry to the game, and I'm definitely intrigued, though I wouldn't say I'm as excited as I would be if the game were for Fallout or Bethesda, or even Assassin's Creed, for that matter. Still, Doom is an iconic, and in some ways infamous game series from the nineties, and it was popular even up to the 2004 release of Doom 3, and it's one that I personally enjoyed, although like the baby I am I tended to jump out of my seat a few times trying to play Doom 3. So, while I am not going to hold my breathe in anticipation for this game, or go out to buy it on the release day, it's still exciting news, and it's news about Bethesda's first ever E3 conference that we've been waiting for information on. That's important to hear, at least. With a new Doom title being announced, which is sure to bring in money for id Software, Bethesda will be busy as a publisher at their special conference. There's still time to see if we can hear things about other games that could be worked on that Bethesda is associated with, and this is only one item at what I'm sure is going to be a good, busy conference, and with the list of categories Bethesda registered under, for both current and last-generation consoles and numerous genres, it ought to be a good one. I'm still crossing my fingers for a reveal for a Fallout title to be announced at E3, personally. Vordur Steel-Hammer, resident geographer of the UESP, has been tackling a much needed overhaul of Lore place articles in the Iliac Bay region. In TES II: Daggerfall, the game world was divided into a series of city-states, so the capital city and the surrounding region typically got the same name. And now ESO has thrown the Iliac Bay back in time a thousand years, and things are understandably, but frustratingly, different. What will become the name of a Daggerfall city-state is in some circumstances an entirely different region with a different political framework. It's been a mess, but thanks to Vordur, it's finally being sorted out. Other projects continue, of course, while some are still being fleshed out. And little fun facts keep cropping up here and there. For instance, we're still getting insights on M'aiq the Liar's Skyrim dialogue. And over the last few months, it seems, people on youtube, reddit, and elsewhere have been puzzling over the skeleton of a Snow Elf king in the Forgotten Vale. Hey, it's news to me. One of the big delights from hanging around here is, every once in a while, you learn something new about games which have been out for years. Zenimax released The Tamriel Chronicle, Issue #85 three days ago, and today gave us the latest entry in the Loremaster's Archives, Rituals of the Divines. It's always fun to see an Imperial try to speak authoritatively about other cultures. I repeat: this game is free.